It's Giving Tuesday! After family gatherings, Black-Friday-madness (or in our case "Backlist Friday"), and Cyber Monday, today we take the time to celebrate the generosity of our dedicated community of donors. 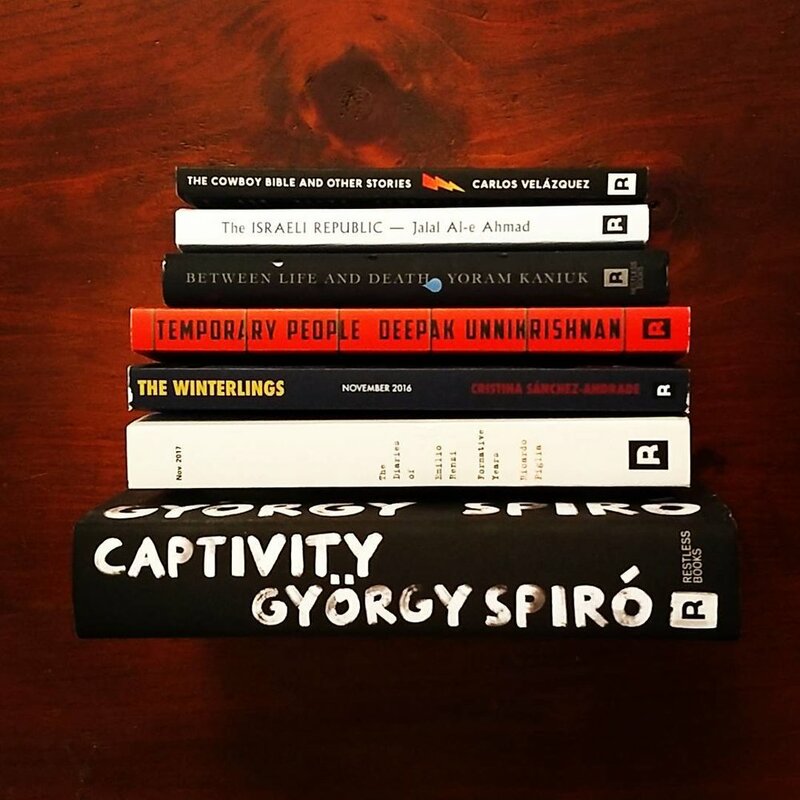 We thank them wholeheartedly and hope that like them, you too will find room to support independent and international publishers, which provide a platform for literature from all corners of the globe and all walks of life. We're thankful for what we've been able to accomplish this year: publishing Temporary People, the first title to win our Immigrant Writing Prize, which fosters understanding of the immigrant experience; presenting a new edition of W. E. B. Du Bois's seminal and timely-as-ever work on race in America, The Souls of Black Folk; bringing out the first novel from Madagascar ever to be published in English, Beyond The Rice Fields, beautifully translated by Allison M. Charette; and launching our Yonder imprint of international books for young readers with The Wild Book by Juan Villoro, translated by Lawrence Schimel. We also gave back through a campaign to support disaster relief efforts in Puerto Rico and Mexico. We hope you'll make a donation today to support Restless—a nonprofit, independent publisher that champions diversity, internationalism, and a broader understanding of our complicated world. Your support will help bring to fruition exciting upcoming projects including Arshia Sattar's captivating retelling of the Ramayana with stunning original illustrations by Sonali Zohra; Moon Brow, the magisterial new novel, ten years in the making, from banned Iranian author Shahriar Mandanipour; and another raucous Cuban space opera by our favorite sci-fi rocker, Yoss. Support Restless by Making a Donation Today! Your donation will enable us to continue championing these, and many other, essential literary voices. This Giving Tuesday, we hope you'll stand behind diversity, art, and boundary-breaking literature!